Deluxe comfort for short duct runs. The R*D Ducted Ductless System, part of the Preferred™ Series, helps you balance home comfort within your budget. Mounted above your ceiling or below your floor, it’s perfect for adding comfort to a repurposed interior space. 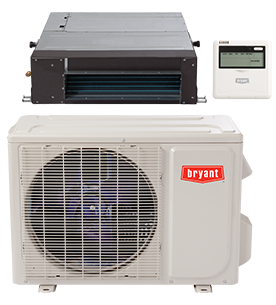 With up to three fan speeds and features that include a variable-speed compressor and built-in timed start/stop options, the R*D System has a lot to offer.